It was supposed to be the beginning of a new family together, but in the span of just three days, Ahmad Saleem's life changed forever. His wife, Ayesha Riaz, had just given birth to their baby son, Eesa, when she fell victim to a hospital-acquired strain of streptococcus at Markham Stouffville Hospital, her family says. It was supposed to be the beginning of a new family together, but in the span of just three days, Ahmad Saleem's life changed forever. 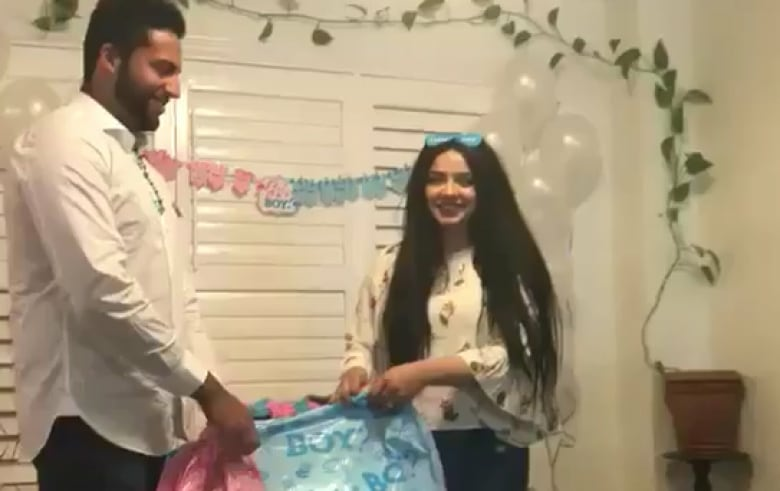 One moment, he and his wife, Ayesha Riaz, became new parents, welcoming their first-born son into the world. Seventy-two hours later, he was bent over her face desperately trying in vain to revive her. 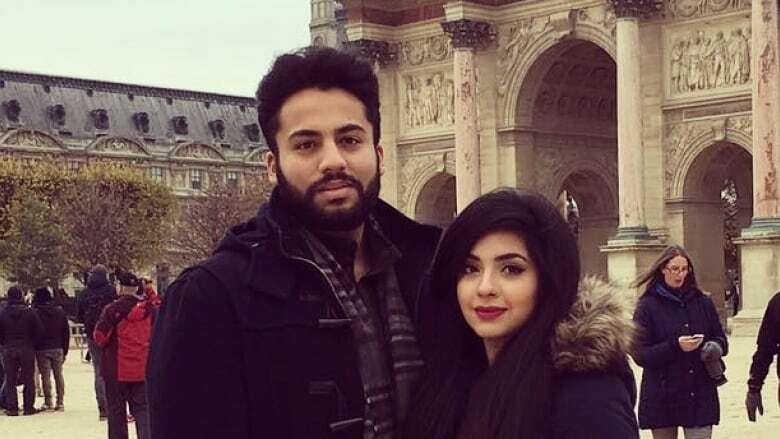 Riaz, a recent University of Toronto graduate, had just given birth to her baby, Eesa, when she fell victim to a hospital-acquired strain of streptococcus at Markham Stouffville Hospital, her family says. The hospital would not comment specifically on her family's claims, but confirms three cases of Group A strep in its childbirth unit in February, saying a mother did die from a severe form of the infection. What you need to know about the streptococcus outbreak in London, Ont. But while the other two women recovered and were released, Riaz never went home. Instead, her life was cut short, leaving her son without a mother and her husband's dreams of a life together snatched away. "Seeing my son every single day, I want to love him, I do. I hold him and then it gets to the point that I can't because it just haunts me," Ahmad told CBC News. Eesa was born on Feb. 7. The birth went so quickly in fact that Saleem was still making his way to the hospital when it happened. "I kissed my wife on the forehead and I joked, 'Could you not have waited for me?'" The joy and excitement were overwhelming. But a few hours later, Riaz started to complain. First it was pain in her tailbone, then stiffness in her stomach. The next morning she told nurses the room was getting too hot. Each time, Saleem said, she was reassured that she would be OK, with a nurse suggesting she try taking a walk and do breathing exercises. Over the next two days, Saleem said, Riaz had trouble breathing and developed a fever. "I laid down next to her, and she was burning hot," he said. "No one is taking me seriously," he remembers Riaz telling him. On the morning of Feb. 10, Saleem said, a doctor came in after her heart rate had increased, saying something was wrong. Soon after, Riaz was moved to the intensive care unit, and the doctor said they were treating the case as Group A strep. Saleem did his best to reassure her. "I want to go home, I don't want to be here," Riaz replied. Around 4 p.m., Saleem said, the doctor said she feared Riaz might go into septic shock, saying she wanted to insert a tube to help her breathe. Saleem said he held Riaz's hand as they began putting her on life-support. Minutes after he went out of the room to inform her family, Saleem said, a nurse came running out telling him to come back in. Inside, he said, staff were performing CPR on her, and he jumped in to try when their attempts failed. "I was crying, holding her hand, telling her, 'Please wake up, please wake up,' until they eventually pulled me off and said, 'She's not coming back.'" Her death was ruled to be the result of septic shock, Saleem said. In the weeks since, he said he has barely slept, haunted by the memories and the questions about what went wrong and why more wasn't done to address her concerns. The day Riaz died, Markham Stouffville Hospital launched an internal investigation after it identified a suspected case of the infection. 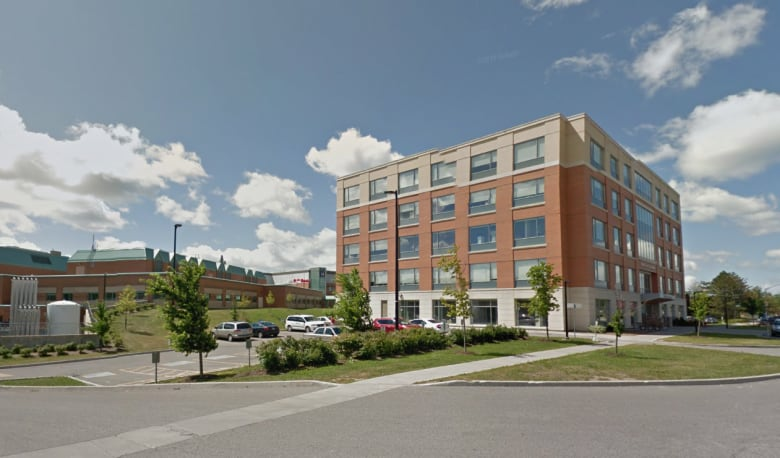 "At that time, we immediately implemented protocols consistent with an outbreak, including enhanced cleaning and restrictions" on visitors, the hospital's vice president of communications Lisa Joyce told CBC News. Five days later, it declared an outbreak. Adding to Saleem's grief, CBC News has learned the hospital has taken disciplinary action after two separate breaches of Riaz's electronic medical files by health-care workers in the days after her death. Saleem said he was told that senior management was notified immediately after the breach and that the hospital is now taking extra steps to safeguard patient information, including reviewing and updating the hospital's patient privacy policies. The breach was also reported to the Information and Privacy Commissioner's Office. The hospital also said it is undertaking a review to examine "the root cause" of the outbreak and develop recommendations to prevent a recurrence. It said there are currently no confirmed cases in its childbirth unit. Group A streptococcus has a seasonal pattern, with most cases occurring in the winter and spring months, York Region's public health agency told CBC News. In most cases, infections involving Group A streptococcus don't advance beyond strep throat. But invasive strains like the form that broke out in this case can turn life-threatening, going deeper into the body reaching the lungs, blood or the tissue around muscles. The invasive strain was blamed for 34 cases in York Region last year. So far in 2018, there have already been nine. Dr. Allison McGeer, Mount Sinai's director of Infection Control, is one of those assisting with the hospital's review and said Group A Strep is one of the few bacterial strains that can kill a young and healthy person very quickly. "And, you know, these serious Group A strep infections after delivery are a common and really tragic problem. But they're most frequently not infections that can be prevented," McGeer said. From the discussions she's had with Markham Stouffville Hospital so far, McGeer said there's nothing about the situation that suggests the outbreak resulted from inadequate practices. "These are outbreaks that happen sometimes despite everything that you're doing," she said, adding that while the rate of infections from the bacteria is on the rise, that may be because more testing is being done. The family is now considering legal action, Saleem says, and have started a GoFundMe page to help pay for the costs. A percentage will also go to building wells in communities in Pakistan that lack safe drinking water. "We just started our life. She was 24. I'm 26. This is our first baby, things weren't supposed to be like this … I just want answers."